Music video for Heaven On The Beach by long running Japanese pop rock band Southern All Stars. The MV features cameo appearances of a host of Japanese celebrities, including Natsumi Abe, Kaori Iida, Yuko Nakazawa, members of AKB48, Tamio Okuda, Guts Ishimatsu, Kaela Kimura, Kazuyoshi Saito, Dreams Come True, Ken Hirai, Gen Hoshino, Keiko Masuda and Kazuya Yoshii. 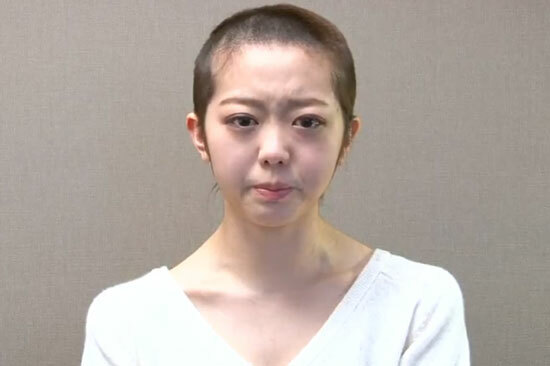 Japanese pop group AKB48 member Minami Minegishi has taken the extreme to apologise for her dating scandal by shaving her head. The 20-year-old was caught sleeping over at a man’s place by the paparazzi, which is strictly forbidden by the group’s management. As strange (and perhaps inhuman) as it sounds, the idol-no-dating rule is very common in East Asia, though there’s not many agencies that enforces the regulation as religiously as AKB48. It’s said that she shaved her head on her own accord. Whether she’s told to do so or not it shows how much pressure she was in to try and get out of the trouble. Although many people has said that the (self) punishment is too harsh, the act might actually save her AKB48 career as she was “merely” demoted to trainee status. There were others who were penalised heavier (expelled etc.) for lesser evidence. 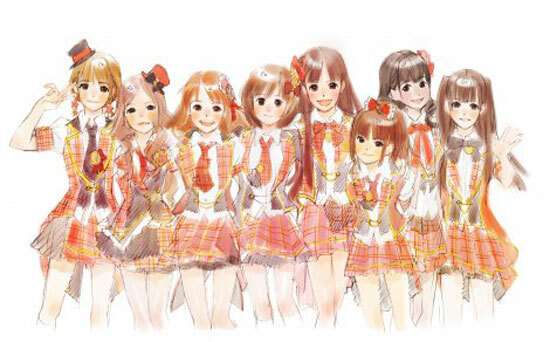 A Japanese anime based on popular girl group AKB48 will be produced and aired in 2012. The anime will feature nine characters, which will be chosen among the 48 core members and other 100+ members of affiliated groups and trainees. Image via Oricon [Jp]. A voice-casting audition is currently being held, but it’s probably just a show instead of a real audition. At the end of the day it’s very likely that the most popular AKB48 members are picked instead of those with the best voices. Japanese pop group AKB48 member Mariko Shinoda is featured in recent issue of WPB Magazine. Mariko is one of the most popular girls among the 48-members group which is making waves on J-pop charts for the past 18 months. AKB48-YJ7, a sub-unit of Japanese girl group AKB48, is featured in recent issue of Weekly Young Jump [Jp]. The unit consists of seven of the group’s 48 members, i.e. Minami Minegishi, Rie Kitahara, Miori Ichikawa, Suzuran Yamauchi, Yui Yokoyama, Amina Sato and Aika Ota.